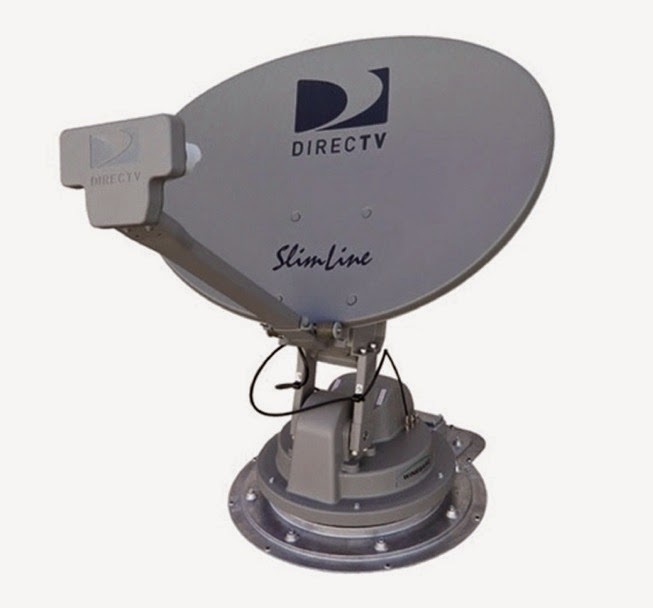 If you are on the road and don't want to miss the big game, or if you don't want to wait till you get home to see your favorite shows, having a portable satellite antenna just may be the answer. When you spend a lot of time on the road in your RV, you can still stay up to date on current shows even while you are away from home. It can also prove useful in cold or inclement weather when you find yourself kept inside your RV more often. You also don't have to sacrifice quality or features just because you are away from your home entertainment system. The Winegard Trav'ler Slimline is one example of bringing satellite HD content straight to your motorhome's TV. Its versatility allows the Trav'ler to pick up signals from multiple satellites. Programs can be watched or even recorded from different TVs in your motorhome. This certainly reduces the chance of arguments between family members on what to watch! It works with any DIRECTV receivers and can pick up both standard and high definition channels. For added convenience, this roof mounted satellite features easy to use operation and does not need any additional equipment for viewing HD channels. When powered on, it starts rotating to find the best signal. Once it is powered off, the Trav'ler can fold down for travel or when it is not needed. For the best results, the RV should be parked in an area that presents a clear view for the antenna with as few obstructions as possible. Please note that the Winegard Trav'ler is only meant to be used while the RV is parked, and is not intended for home use. This Winegard Slimline antenna can provide you with plenty of indoor entertainment for you and your family.